I absolutely love Christmas shopping, but it can be hard to get ideas for gifts everyone would like! 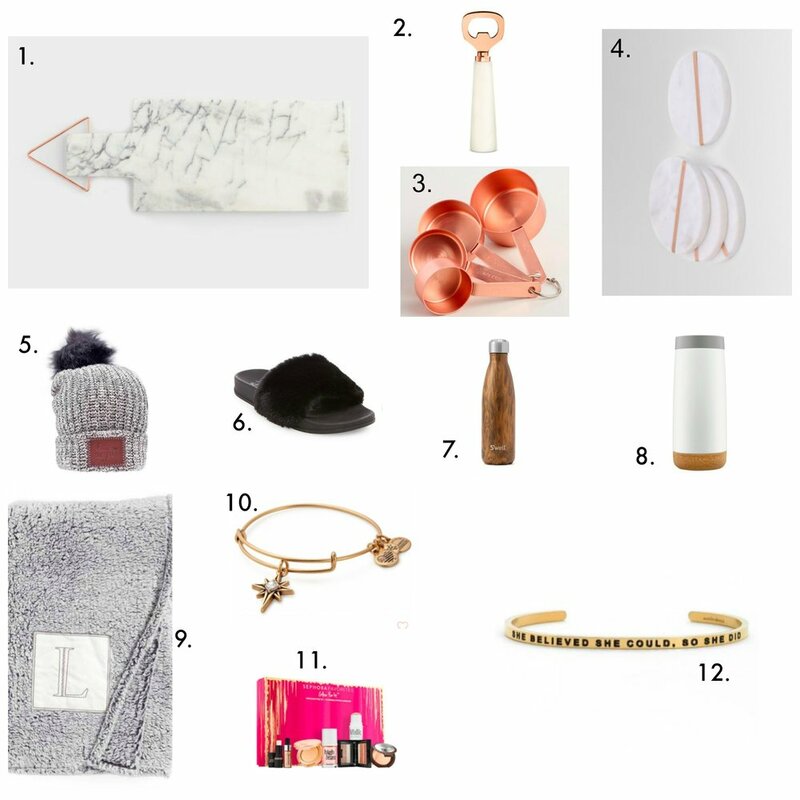 I compiled a list of a few of my favorite gifts that I picked out for my friends and family this year that are all under $50. All of the gifts included can be given separately or together of course! But numbers 1 through 4 was a gift I planned on combining to make a gift set. 1. Marble cutting board - My absolute favorite items this year are copper and marble kitchen accessories! This marble cutting board is perfect as a serving platter when you have guests over. It's on sale right now for $10.49. Let me know which gifts you are giving to friends and family this holiday season!